How to choose the proper SiliaQuick QuEChERS kit? How to calculate how much metal scavenger to use? How to choose a metal scavenger? Why Choose Silica-Based vs Polymer-Based Scavengers? How to purify your API from organic contaminants? What is a supported scavenger? What quantity of scavenger should be used? At what temperature should the scavenger be used? What solvents should be used with our scavengers? At what pH should the scavenging in aqueous solution be performed? What to do when backpressure increases? How do I determine the void volume in HPLC? Why should I use a guard column with my analytical or preparative column? What happens if my sample solvent is stronger than my mobile phase? Can I get a sharper peak by injecting my sample in a weaker injection solvent? How much sample can I inject on my LC column? What size threads are on the end fittings of my HPLC column? Why do most users privilege PEEK vs stainless steel fittings and tubing? What is the internal diameter of my LC tubing? Can I operate my column with a 100% aqueous mobile phase? How can the column performance be checked? How can the columns be cleaned or regenerated? What is the appropriate flow rate for the different column dimensions? What is the difference between dead volume and dwell volume? 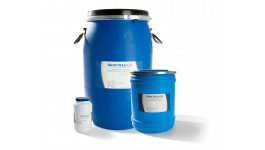 What is the shipping solvent for your HPLC columns? When should I use a gradient? What are the common buffers used in HPLC? Why is my chromatogram showing peak tailing, ghost peaks, fronting peaks, split peaks / shoulder peaks or rounded peaks? Why is it difficult to get reproducible retention times in normal phase chromatography? What is the difference between a monomeric and polymeric C18 bonded phase? How should the columns be stored? How to scale-up a column for preparative isolation/purification from analytical conditions? Should I run a gradient from 5-95% organic solvent or from 0-100%? How are column efficiency, peak asymmetry factor, tailing factor and resolution calculated? What to do when there are no peaks, small peaks or negative peaks? What to do when there is no flow? What is the cause of variable retention times, loss of resolution or selecticity change? What is the cause of baseline drift or noise? What is the difference between silica and polymer? How should functionalized silica be handled? What are the storage conditions for the functionalized silica? Can functionalized silica be packed? Won’t the supported reagents leach since they are adsorbed and not bound? What is a supported reagent? Are all functionalized products endcapped? Does functionalized silica dissolve in methanol or any other standard organic solvents? Can different functionalized silicas be mixed? What type of TLC plate to choose? What type of TLC backing to choose? How to cut TLC plates on glass support? How to read a chromatogram? Streaking or elongated spot rather than a defined spot? Unable to see any spots on the TLC? How to monitor a reaction in presence of similar Rfs for both starting materials and product of interest? What is the co-spotting method? What to do if compounds stay too close to the baseline or solvent front? What is Solid Phase Extraction (SPE) ? What is the "Catch and Release" technique? Why is the level of fines important? Prices do not include applicable taxes, customs, duties and/or shipping. Follow us and get our news and promotions! Copyright © 2019 SiliCycle Inc. All rights reserved.